The Bible is clear that our most important relationship is with God. It teaches that to place anything, or anyone above this relationship is idolatry. It is also clear that our next priority should be the relationship with our spouse. In spite of this it can be easy for our attention to stray to other relationships, leaving our marriage to run on cruise control. This will damage our relationship and keep it from being all that it can be. Our parents are important. One of the relationships that can detract from our marriage is that with our parents. I love my parents and still have a great relationship with them. In fact one of my favorite things is to have coffee with them on Saturday mornings. Jesus even modeled the importance of our relationship with our parents while hanging on the cross. In John 19:25-27 Jesus instructed John to care for his mother. He did this after being beaten and nailed to a cross and with a crown of thorns on his head. Clearly Jesus loved his mother. Our kids are important. Many would agree that kids are a gift from God. As such we should care for them. 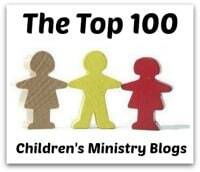 In Mark 10:13-16 Jesus shows the importance of children as he REBUKES the disciples for running the children off. I know he is not talking about parenting in this passage, but it was parents that were bringing their children to Jesus for a blessing and he received them with open arms. Leaving mom and dad. The first reference to marriage in the Bible is in Genesis 2:24, “For this reason a man will leave his father and mother…” This is in reference to the relationship between Adam and Eve. For the sake of the relationship with his wife a man will LEAVE his parents. As I pointed out earlier this is not to say that we are to end the relationship with our parents, but it does mean that our spouse now takes a higher priority. While this passage only mentions a man leaving his parents, it also applies to the woman. Becoming one flesh. Genesis 2:24 goes on to say, “…and be united to his wife, and they will become one flesh.” I’m not gonna discuss what it means to become one flesh. However, I think that it is important that we acknowledge the significance of this passage. If husband and wife are now ONE FLESH, then what does that mean for our relationship? Consider what it means that your arm and hand are “one flesh”. Consider what would happen if you arm could decide to stop sending blood flow to the hand. Suppose one arm decided that the other arm was more valuable than the hand. Eventually if the hand did not receive the blood flow and nourishment that it needed, it would die. If husband and wife are one flesh, then the same thing will happen if one or the other allows some other relationship to become more important than your spouse. Where your treasure is. In Matthew 6:21 Jesus says, “For where your treasure is, there your heart will be also.” This is true of our relationship with our spouse. Do you invest more money is your hobbies than in your spouse? This same principle applies to how we spend our time. Do you have a regular golf date with your buddies? What about a regular, scheduled date with your wife? Do you get all dressed up to go out with your girl friends, but put little effort into getting ready to go out with your husband? Think about it. Each year the United States President does a speech titled “The State of the Union.” I think that we need to regularly take inventory of the State of OUR Union. Take time to REALLY consider the condition of your marriage. Talk to your spouse. As them how THEY feel about the condition of your marriage. Take a weekend away with just you and your spouse. Use this time to reconnect and to evaluate the state of your union, together. Regardless of what you do, the bottom line is not to neglect your marriage. A healthy marriage will not just happen. It requires work and the results are worth the effort.